Saturday, September 29, 1:00 - 3:00 p.m.
Join Phyllis Theroux, author of The journal keeper, for a seminar on how to keep a journal you will treasure. There are rules. She will share them. There are rewards. She will take you through a few mock journal-keeping sessions that will help you uncover those rewards on the spot. But the deepest reward is cumulative. The habit of pausing each day to record one’s thoughts and observations leads to a more thoughtful, observant life, and hooks one on the habit of journal-keeping forever. 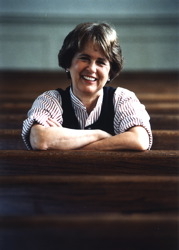 Phyllis Theroux was born in San Francisco, the inspiration for her first book, California and Other States of Grace. She began her career in Washington, D. C. writing essays for the Washington Post and the New York Times. That segued into a memoir, which led to a career as a writer and teacher. The founder of Nightwriters, she is working on a biography of a Catholic bishop and collaborating on a play about a woman with agoraphobia. Class size is limited to 35 people. Get your ticket now! Phyllis Theroux discusses The Journal Keeper: A Memoir. Phyllis Theroux , The Journal Keeper: A Memoir. Phyllis Theroux reads from The Journal Keeper, A Memoir. Phyllis Theroux is currently considered a "single author." If one or more works are by a distinct, homonymous authors, go ahead and split the author. Phyllis Theroux is composed of 2 names. You can examine and separate out names.